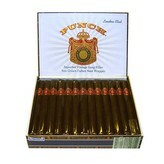 Punch is one of the first cigar brands to have been developed in Honduras. Made in accordance with the country’s tradition of expertly curing its tobacco, Punch lives up to its name with a bold, full-flavored taste. Punch is a cigar company with a story you’re probably familiar with. Founded originally by a German, doing great business in the 1800s manufacturing and shipping cigars from Cuba, the company changes hands a couple of times. The company continues to turn out quality cigars, in this case even becoming quite popular in Europe in general, but in England in particular, and things seem to be going well. Fast forward to the Castro revolt in Cuba, and suddenly you have a very real problem; the company is seized by Fidel Castro and his communist comrades, and forced to work for the state. The ownership is no longer respected, and the old owner, as with all the old owners of cigar companies in Cuba, is either run off the land, murdered unceremoniously by a hit squad, or told that he’ll keep making cigars and will now do it for next to nothing. Thankfully, Punch opened again, over in Honduras, and has been making cigars that mimic the taste of a good Cuban cigar ever since. 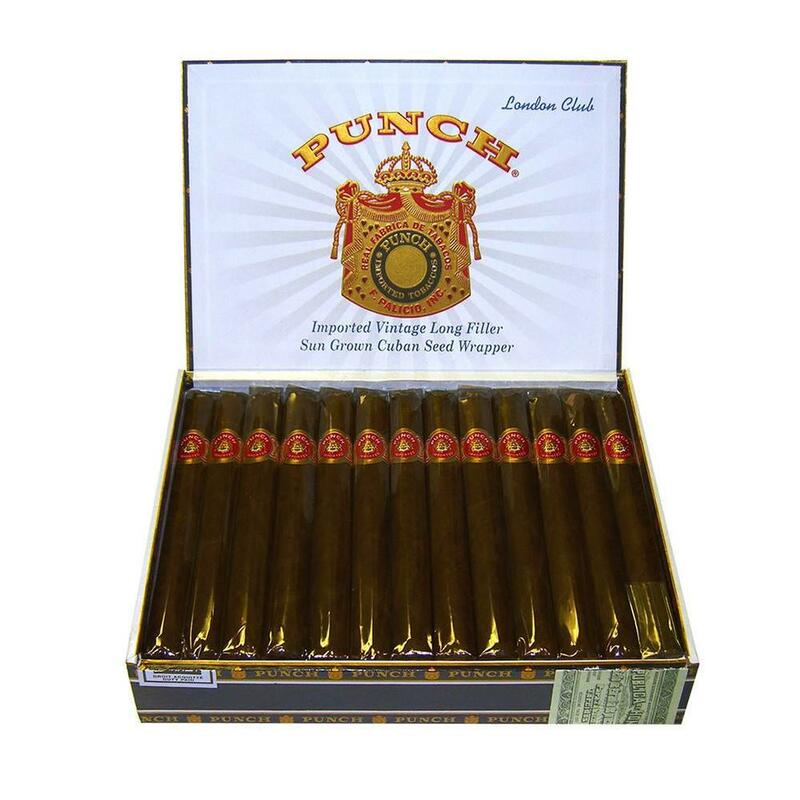 The Punch London Club EMS is a cigar that was, as the name might lead you to believe, popular in London; the name even contains the acronym EMS, which stands for ‘English Market Selection’, the cigars designed specifically for and shipped specially to the British to satisfy their desires. These cigars are made with Cuban-seed tobacco from Nicaragua, Honduras, and the Dominican Republic, blended together in hopes of being able to imitate the flavor of the Cuban cigars punch once made. This leads to a smooth yet spicy cigar, with notes that will leave you impressed and happy that you gave this cigar a try. Try one today, and you won’t regret it.